India’s real estate market has not been one of the best performers in the past decade and has grown with a slow rate. The market gradually bounced back in 2017 – 2018, even if we saw a brief slowdown in 2015 – 2016. Positively, most of the bigger cities performed well throughout 2017 and 2018. Why is this the case then? The main reason is that the economy grows quickly, gaining much attention from international corporations and the media. Some of the most eye-catching cities you should have a look at include: Mumbai, Hyderabad, Bangalore, and Delhi. Despite seeing a high demand, recent yearly price increases remain low and average between 0-2%. This is far off to countries like China and Vietnam. In 2016, India surprisingly rolled out news about a banknote demonetization. In short words, the government aimed to replace around 86% of the banknotes in circulation, with a purpose to catch tax evaders and people that earned money illegally. Normally, banknote demonetization has a negative impact to economies, something that could be seen in India as well. We even saw reports of casualties as people rushed to exchange bills. So what impact did the demonetization have in the real estate industry? Many believed that the sudden implementation of demonetization was a direct track to a property slump. Some even predicted an annual price decline of 30%. Fortunately, the demonetization had little effect as the demand continued to grow in 2017 and 2018. A bit embarrassingly, more than 99% of the old bank notes are back in circulation. The market saw a temporary decline in real estate prices during the first months of 2017, but managed to absorb the shock created by the demonetization, that wiped out over USD 200 billion from the circulation in just a day. According to PropTiger DataLabs, the real estate market went through a sharp increase in Q4 2017 (for the top 9 cities) with a 19% increase in sales. Overall, there were 7,200 more sales in the fourth quarter of 2017 compared to the third quarter. Data from the first half of 2018 showed a strong comeback in terms of demand. The sale of residential and commercial property has been on the rise in most cities. Still, prices have remained fairly the same all over India. Mumbai is one of the fastest growing and the wealthiest city in India. Having a comparably big middle- and higher middle class, real estate is high in demand here. Not surprisingly, Mumbai has the highest real estate prices in India. It’s now ranked among the 20 most expensive real estate markets in the world, snapping the 18th spot in 2018. As India is becoming more urbanized, people tend to move to metropolises like Mumbai, which adds on to the demand. Still, the average price per square meter is a fraction of that in Hong Kong, or even Bangkok, averaging at INR 79,000 (USD 1,110). According to Knight Frank, we saw a significant 128% year-on-year increase in the new launches and 1% increase in sales for the first half of 2018. Still, prices decreased by 9% compared to the previous year. 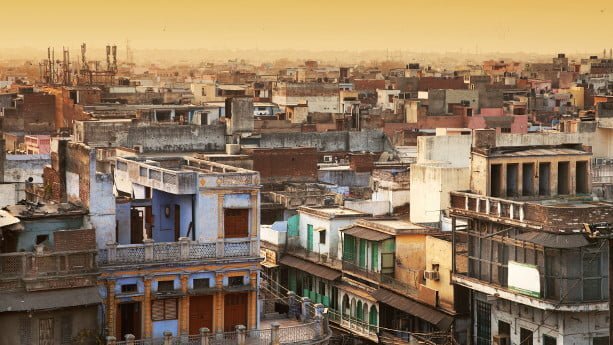 Rental yields are kept low, like in other Indian cities, which makes renting a preferred choice over buying for many locals. Hyderabad scored the highest year-on-year price increase with 8% in the first half of 2018. Still, the average price per square meter is INR 43,000 (USD 600), almost half of that in Phnom Penh, Cambodia. At the same time, we saw a 44% year-on-year increase in new launches and a 5% increase in sales in the first half of 2018, according to Knight Frank. In case you don’t know, Bangalore is the fastest growing city in the world and a tech-hub in India. The city has grown fast the past years, making it the second most expensive city. Prices average at INR 50,800 (USD 715) per square meter, which is still far below the average price in Ho Chi Minh City. We saw a 11% year-on-year increase in new launches and a 22% increase in sales during the first half of 2018 according to Knight Frank. When it comes to price appreciations, we’ve seen a poor performance in Bangalore as there was a 2% decline compared to the first half of 2017. Delhi is the capital and a major hub in India. The same as it goes to Mumbai, people flock in masses to find job opportunities in Delhi, which has resulted in a higher demand of property. The average price per square meter is around INR 46,000 INR (USD 650), which is below the average price in Bangalore. According to Knight Frank, there was a 90% year-on-year increase in new launches and a 5% increase in sales during the first half of 2018, compared to the same period in 2017. Not surprisingly, we didn’t see any price increases compared to 2017. Keep in mind, Calcutta is one of a few Indian cities where the population is shrinking. Population growth and individual wealth play a key role in driving real estate markets, as local buyers make up a big part of the investors. India is a big and diverse country in terms of economy, culture, individual wealth, and regional real estate markets. For example, while cities like Delhi, Mumbai, Hyderabad, and Bangalore grow at rapid speed, the economy is in decline in Pune, Chennai, and Calcutta. Not to forget, India is ranked as the second worst country in terms of uneven wealth distribution after Russia. At the same time as there are wealthier upcoming cities, like Mumbai and Bangalore, there’s extreme poverty in Bihar and West Bengal. Thus, if you want to invest in real India estate, you need study each city carefully. Each state have different so called ‘ready reckoner’ rates. The rates were issued by the government to calculate registration fees and stamp duties. The higher the ready reckoner rate, the higher the prices of residential units in that city. In simple words, ready reckoner rates show the minimum prices to be used for commercial and residential properties. Due to slow growth, several states have not increased the ready reckoner rates for 2018 and 2019, including Maharastra, where Mumbai is located. How will India’s real estate market perform in 2019? As the demand increased in 2018, prices are expected to increase in major cities. Places like Mumbai, Delhi, Bangalore, and Hyderabad are going through rapid urbanization and see high migrations from other cities and states. So, with a higher demand, prices are expected to increase gradually. Even if India has a third of the total poor in the world, there’s a growing middle and upper middle class. In the coming years, individuals with a net worth of USD 50 million are estimated grow with 70%. With a higher GDP growth rate, we see a quickly growing urbanized middle class that seem to buy mostly cheaper property. Many developers plan to build affordable housing, with residential units in the price range of INR 1.5 – 3 million (USD 21,000 – 42,000). More affordable housing will be available for a big part of the population. In addition to local buyers, many non-resident Indians (NRIs) invest heavily in India real estate. As the Indian Rupee loses value against the USD, NRIs are expected to invest more in the coming years. India’s real estate market grows with a consistent, but slow pace. The growing economy contributes to the rise in demand, especially after the brief slowdown we saw with the banknote demonization introduced in November, 2016. Yet, even with a rise in demand in most of the major cities, the year-on-year price increases have remained low, ranging between 0-2% the past years. We can expect a similar trend for the coming years. Another challenge is the uneven growth we see in the local real estate markets. While Hyderabad, Delhi, Bangalore, and Mumbai go through a surge in demand, markets are in decline in cities like Pune and Calcutta. All in all, if you’re planning to invest in India real estate in 2019, you can’t expect high capital appreciations, nor high rental incomes. Many local experts believe that the market is maturing, but it’s still not good enough to expect high returns. If you plan to invest in real estate in Asia, there are plenty of better options, like Vietnam, Cambodia, and the Philippines.